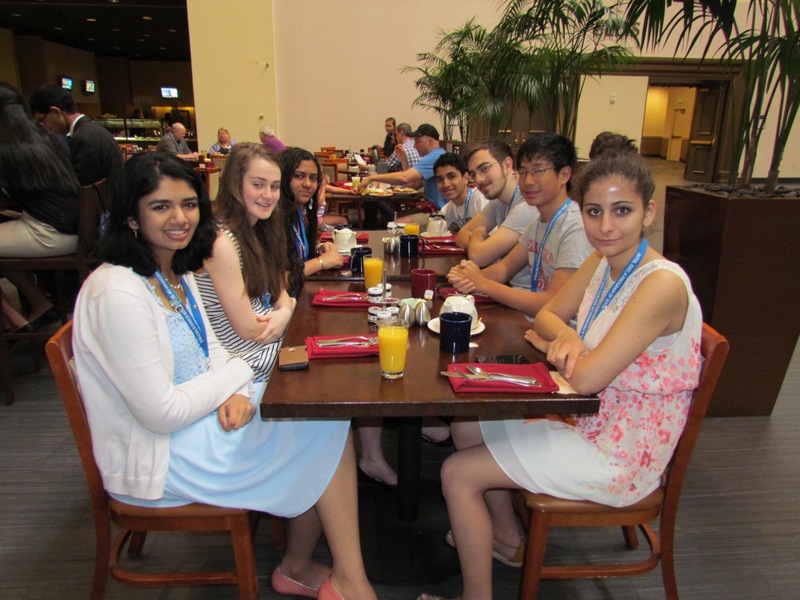 We immediately woke up to the final day of ISEF with an anxious breakfast at the hotel Terrace Cafe. After eating our oversized breakfasts of Belgian waffles and Tazo teas, we rushed back to our rooms to change, and then it was off to the Grand Award ceremony. Sitting near the front, we watched as the wave of finalists and adults rushed into the hall. Pictures taken during our trip flashed across the big screen, and we groaned as Brazil erupted into uproarious cheer at every photo of a Brazilian finalist. Soon, the lights dimmed and our nerves switched to high gear as meteorologist, Ms. Hermosillo, began the award ceremony. As the ceremony progressed, though, we began to feel more relieved as we won a number of awards. In the end, team Connecticut sauntered out of the hall for the final time, victorious at last. After packing up our projects in the chaotic exhibit hall, we met back at the hotel lobby and took a group picture in front of the iconic hotel cactus. Then we changed back into our (considerably-more-comfortable) casual clothes, and headed to the Hard Rock Cafe for lunch. Unfortunately for us, Hard Rock was already completely packed, and so we went off to the nearby Majerle’s instead. After a delicious and filling lunch of burgers and salads, we went back to our rooms to rest and recharge. As the sun began to set behind the regal cacti, we strolled to the Arrogant Butcher restaurant for our sponsor dinner. We finished off the day with a viewing of the new Avengers movie at the local cinema, a relaxing closure to an incredibly eventful week. Ultimately, our last day at ISEF was one filled with memories of bittersweet moments. 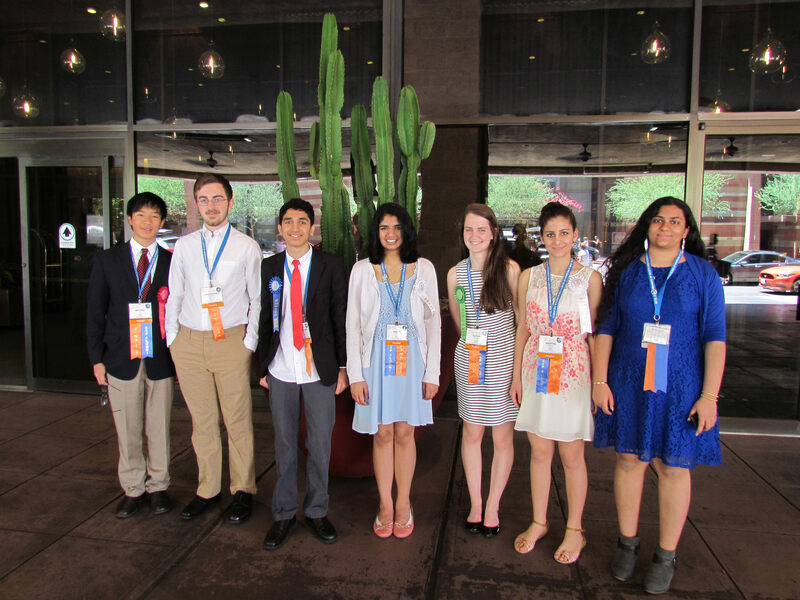 While the award ceremony was a success, it reminded us that ISEF was over and that it was our last day together in Phoenix. Over the course of this trip, we went from not being able to pronounce each other’s names to becoming the best of friends. 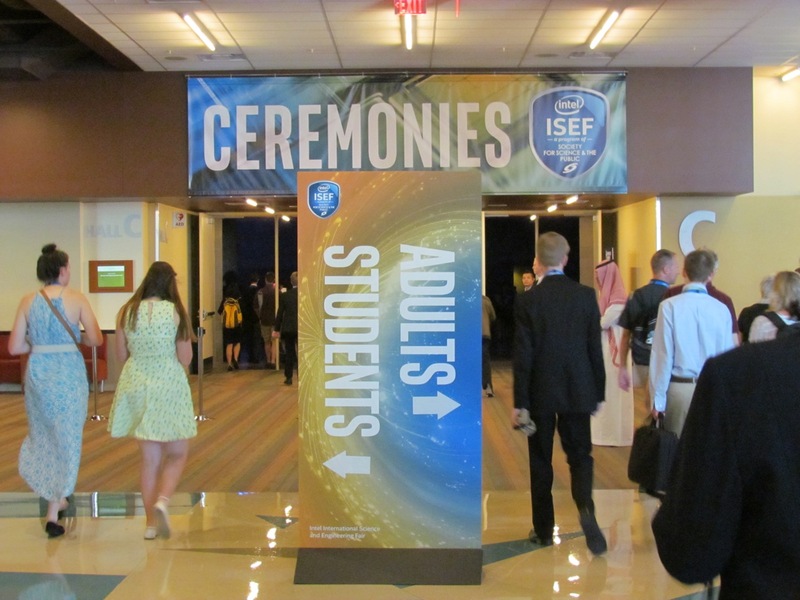 While the grandiosity of the ISEF ceremonies will remain in memories, it will be those little moments that we remember most vividly, whether it be the long conversations we had with our booth neighbors or the late-night card games we had at the floor lounge. Laughing until we were short of breath and making good friends from all across the globe have been integral parts of our ISEF experience and moments that will remain with us forever. As we prepare for the day of travel to follow, we cannot help but to be in awe of the unforgettable experiences that we have had at ISEF 2016. Thank you to all of the CSEF staff, directors, judges, volunteers, and sponsors for your enormous help during the course of this trip!